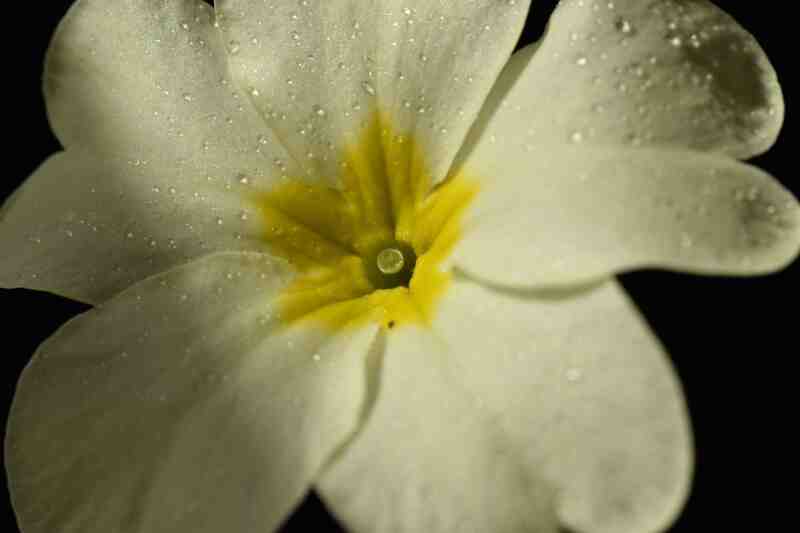 Right now there are primroses everywhere, along the base of hedges, at the edge of woodland and even in short grass. 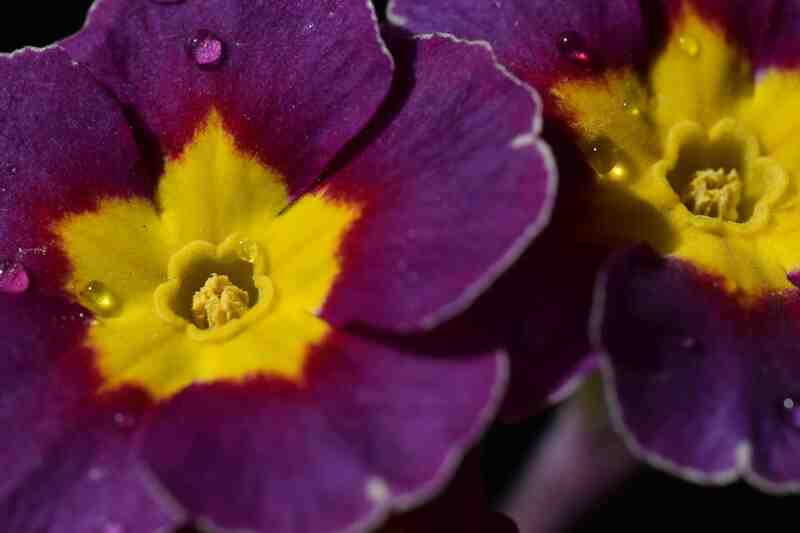 Primroses love it in Ireland. It seemed the right time to go into the types of primrose in a bit more detail and to explain the difference between primroses and polyanthus. 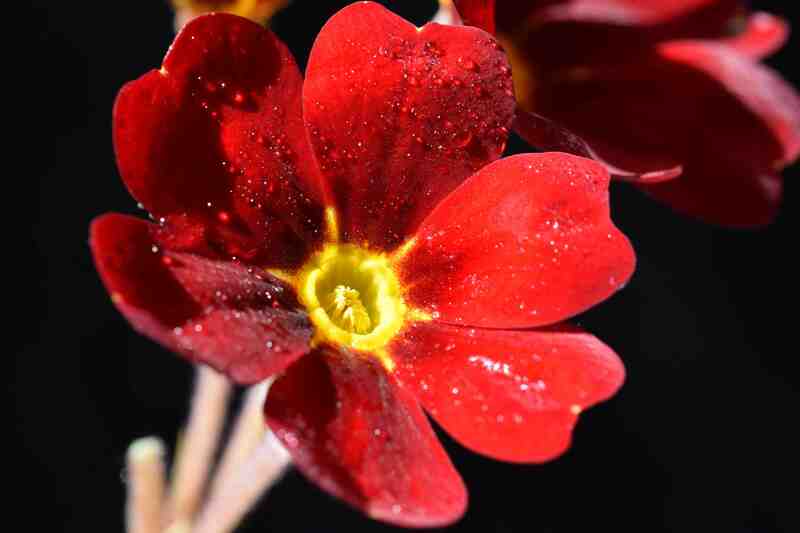 Both primroses and polyanthus are primulas. Not all primulas are primroses and/or polyanthus in the same way that all cats and dogs are mammals but not all mammals are cats or dogs! 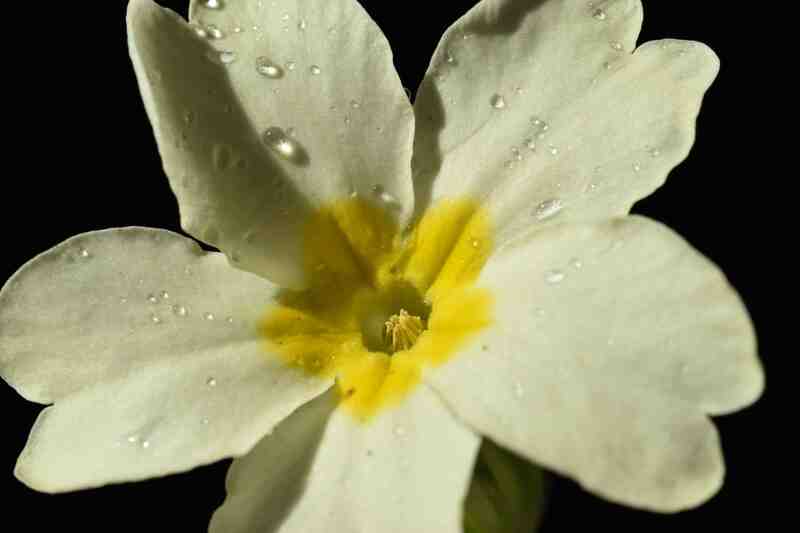 Primroses, wild (and to some extent cultivated), are Primula vulgaris. It is impossible to mix up this demure but colourful plant with the other common wild primula, the cowslip (P. veris) because not only are the flowers of the latter much smaller and a deeper yellow but the small flowers are carried on a stout stem that lifts the flowers above the foliage. At the top of this stem the individual flowers are carried on short stems (pedicels). 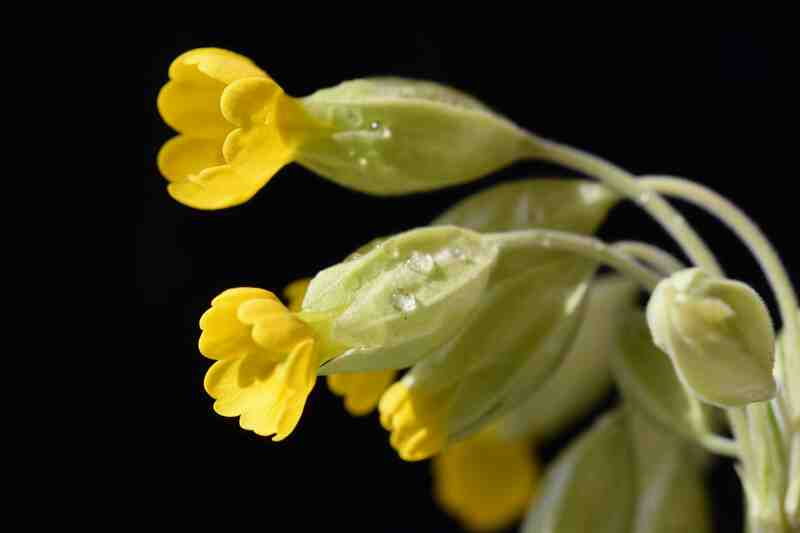 Cowslips are locally common but tend to prefer drier, sunnier places than primroses. In addition to the cowslip there is also the oxlip (Primula elatior) but this is a rare plant native to just a few counties in East Anglia on limey soils. 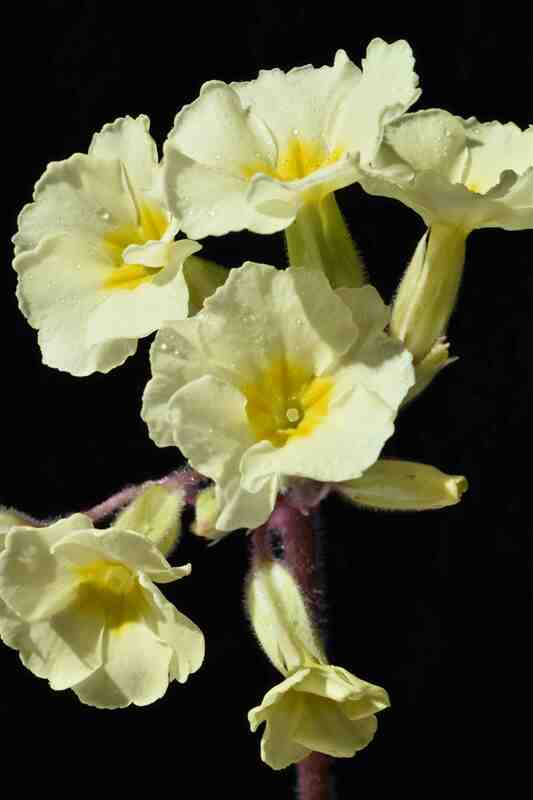 It has a similar habit to the cowslip but the flowers are bigger, open more and are the colour of primroses. The flower clusters always carry the blooms on one side of the stem only, giving an arching form. This is necessary to say because there is one other native primula but this one is the false oxlip (Primula x polyantha) which is a hybrid between the primrose and the cowslip. It looks like the real oxlip but the flowers are held all around the stem. 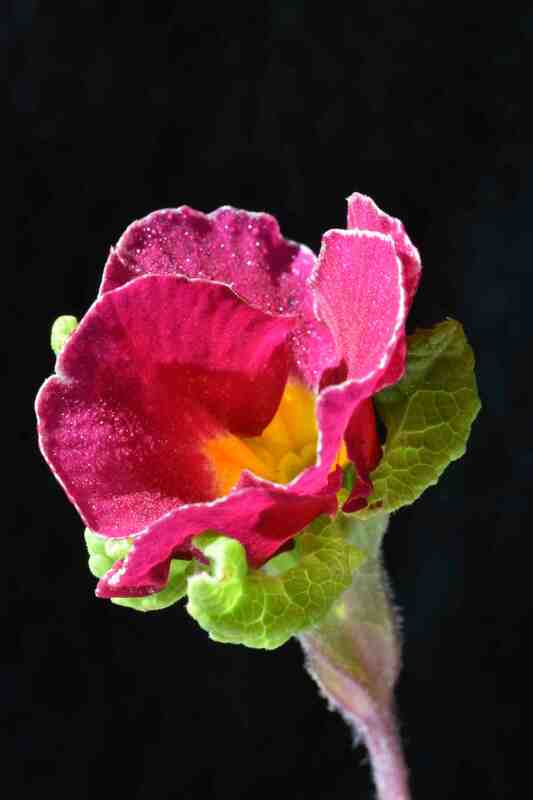 You have probably worked out where I am going with this by now and this is the basic polyanthus. In fact, the cultivated primroses and polyanthus we grow owe their parentage to other species too but this is the basics. Primroses have been cultivated for centuries and lots of interesting forms have been developed, and some lost over the years. Reading about the plants from centuries ago reveals some fascinating plants. I do not have many of these at the moment but I do have a primrose that is a ‘jack-in-the-green’ which is where the green calyx that protects the bud is enlarged and leafy. 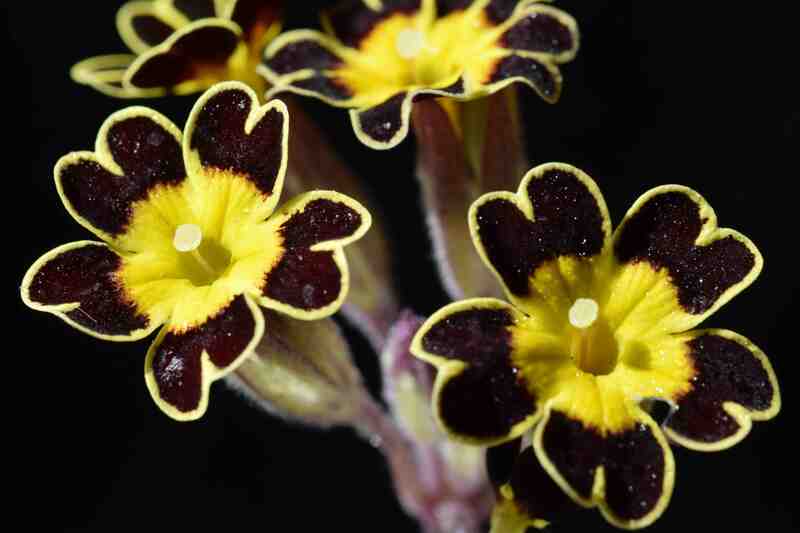 Another ancient type of polyanthus is the gold-laced polyanthus. Forty years ago these were almost extinct, though a century ago they were very popular. In the best forms, and in old illustrations which are undoubtedly ‘enhanced’ to show perfect form, the five petals of the flowers are so neatly divided and lined with gold that there appears to be ten petals. The small flowers must have a dark background colour and, importantly, the flowers must be of thrum form – see the next para! The example below is a poor one but it does show the idea. However, primroses and most primulas, exhibit another interesting variation that you may have noticed if you looked at the two polyanthus photos carefully. Most plants do their best to avoid self-pollination. By doing this they ensure genetic diversity and make sure their offspring are not weakened by inbreeding. Plants have lots of ways to ensure cross pollination and primroses and the rest of the clan have an interesting way to do this. In the flowers of some plants the anthers, that carry the pollen, are situated at the mouth of the flower tube, almost blocking the entrance. The stigma, that collects the pollen to fertilise the ovary and produce seeds, is halfway down the tube. If a bee visits a flower it gets pollen stuck around the base of its tongue. If it goes to the next flower on the plant it does the same but no pollen reaches the stigma. These are called ‘thrum-eyed’ flowers. So the bee flies off to the next plant which may be another thrum, which will not result in any seeds, or it may fly to a plant with the other flower type. In these, called ‘pin-eyed’ flowers, the stigma is held right at the entrance of the flower tube so is perfectly placed to receive the pollen from a thrum flower. And the anthers of this type of flower are halfway down the flower tube so the bee collects some pollen from these which it will carry off to the thrum flowers and pollinate them. All clear? LOL. Whether that made sense of not, they are still beautiful flowers. A great post, thank you very much. 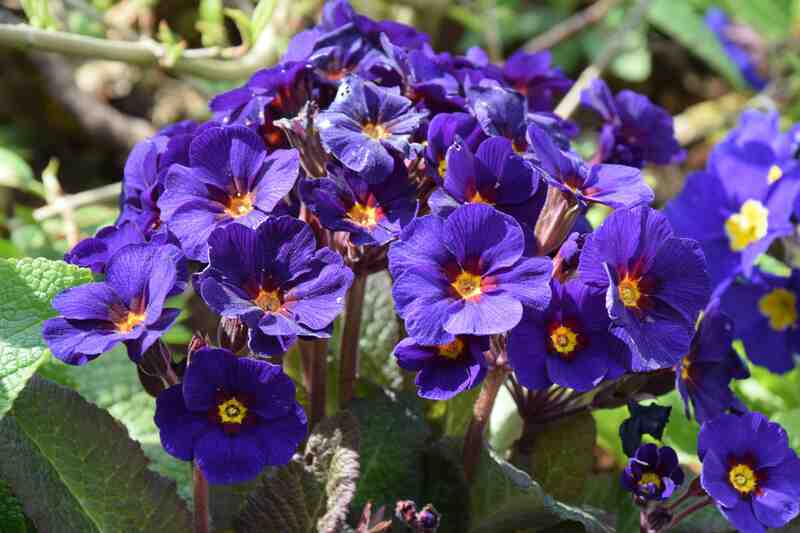 I am crazy about primroses and I am going to do a post about them soon. I shall mention your post because you explain the differences so well. I am lucky enough to live near to some wild colonies of Oxlips. 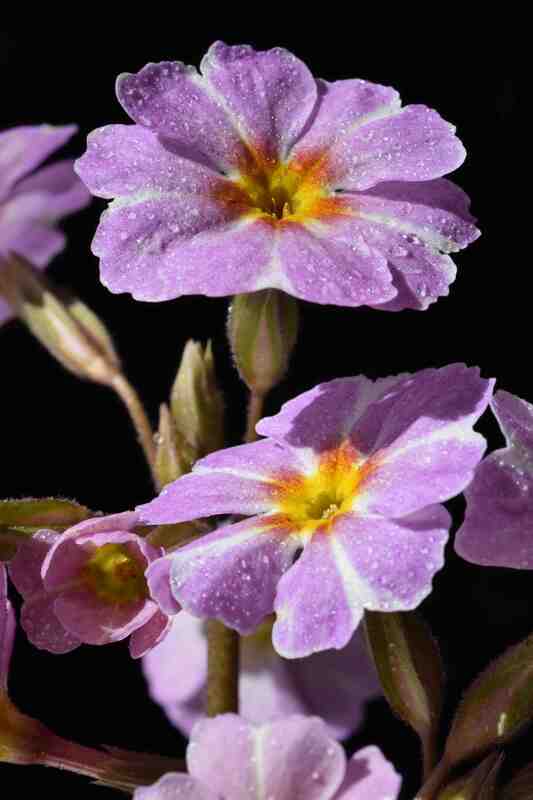 There are some wonderful Irish Primroses. I adore the red leaved Innisfree and your last photo is the lovely Avondale isn’ t it? Thank you 🙂 and yes the last pic is ‘Avondale’ which is my favourite of the new Irish primroses – this year! I was going to order some Barnhavens last year but never quite got round to it but have done so before and it is one of the most rewarding things to grow from seed – every one is always lovely. I remember the first time i grew ‘Osiered Amber’ – I don’t think any plants I have grown from seed ever gave me more pleasure. There is a plant here in the garden that looks a lot like a true oxlip but I am not 100% sure – of course it could have been planted but otherwise it is a bit far from its home! 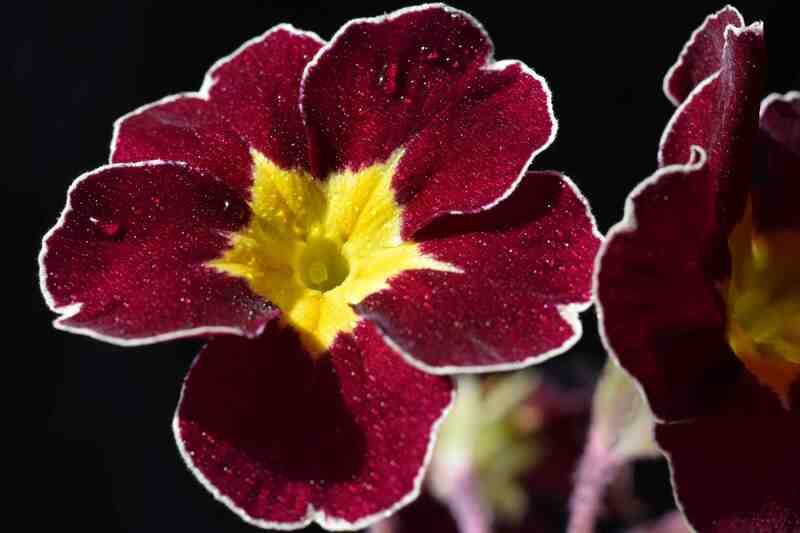 Could the wild primroses cross with any of the Polyanthus cultivars? Thanks for that info,it doesn’t sound good for the native primroses. They warn not to plant Spanish Bluebells because they threatens the native bluebells through hybridisation, yet I’ve never heard similar warnings about garden primroses. I won’t plant them anyway, I like the wild ones the way they are! I do not think that polyanthus really present a threat to native primroses unless they are dumped into the wild. That is the problem with the Spanish bluebells. They are fine in a garden – the problem comes when people have too many and dump them in woods and hedges. Spanish bluebells have been cultivated in the UK for centuries.